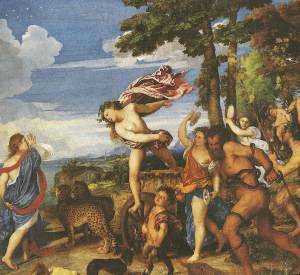 Here you can have a look on pictures of famous greek mythology paintings,which are kept in the National Gallery, in London. 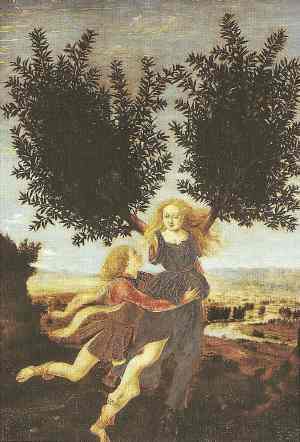 Theme:The nymph Daphne is transformed into the plant laurel, as her suitor god Apollo is trying to embrace her. Theme:Goddess Aphrodite resting in bed with god Ares, while satyrs and Eros play with his weapons. Theme:A satyr kneels beside Procrida, who has been killed by her jealous husband. 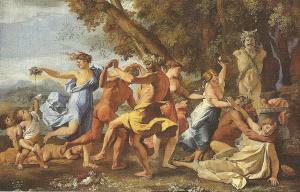 Theme:Dionysus meets Ariadne on the island of Naxos, where she was abandoned by Theseus. 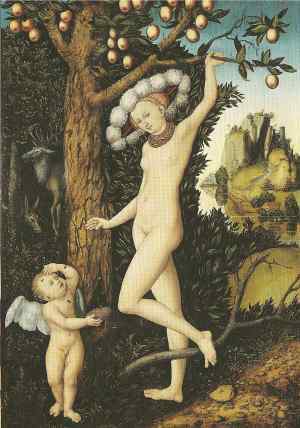 Theme:Aphrodite talks with her son Eros, who has been stung by bees. 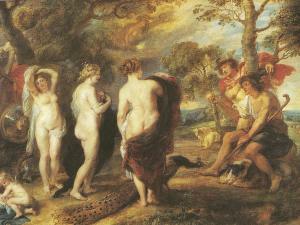 Theme:Goddess Aphrodite in an intimate scene with Eros, in a painting symbolizing carnal Love. 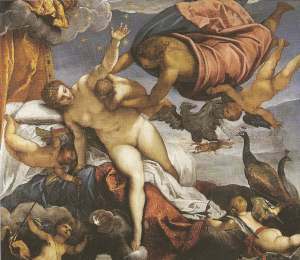 Name:"The Creation of the Galaxy"
Theme:Zeus puts baby Hercules to breastfeed from Hera, but spilled milk creates the galaxy. Name:"Dionysus celebration in front of statue of Pan"
Theme:Followers of god Dionysus have a wild celebration on front of a statue of Pan . Theme:In the famous beauty contest which led to the Trojan War, Paris is shown trying to decide which goddess he will give the apple to. 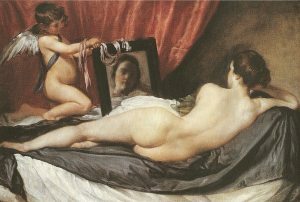 Name:"Aphrodite in front of a mirror"
Theme:Goddess Aphrodite looking at herself in a mirror held by Eros.